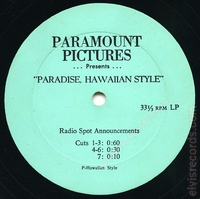 This is the Paramount Presents "Paradise, Hawaiian Style" on a 33 1/3 R.P.M. 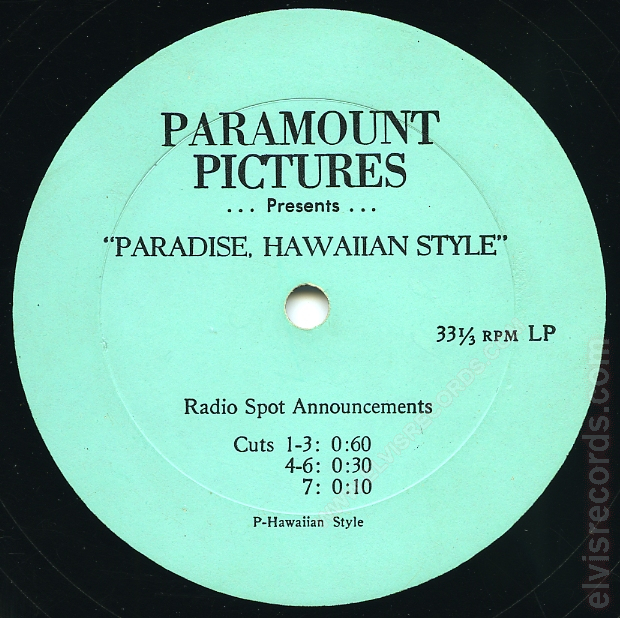 10" LP that contains seven radio spots or commercials promoting the movie Paradise, Hawaiian Style. It is a one sided disc.